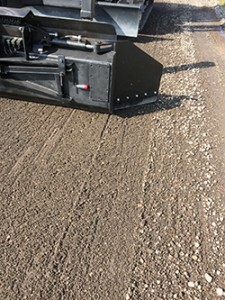 There are currently three attchments in RSB SIDE WORKS product range: GR01 grader, SB01 grader and BR01 crusher. All SIDE WORKS attachments are attached and locked to the support plate of the Eurocomach ES 60 TR RSB excavator. The power supply happens via the FASTER multi-coupler on the excavator. This allows the superstructure of the excavator continues to rotate by 360 ° without restrictions. The boom with gripper or spoon can work on the attachment. 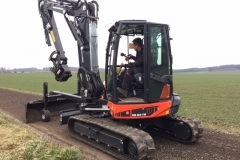 The grader is ideal to flatten out gravel or soil of any type. 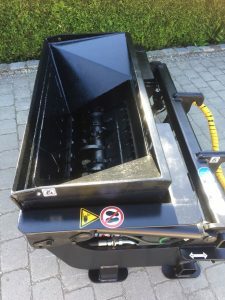 The sieve is great for almost every landscaping project you will be able to easily reuse materials on the job be filters out the soil and the other materials. 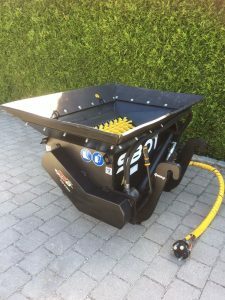 While working on demolition projects or landscaping projects this will allow you to grind concrete, bricks and other materials smaller to be able to reuse the material or make it easier to move.